I biked Rocky Road last night, didn't push it too hard and didn't make it up some hills but am feeling better about what I can do out there. I feel so close to being able to clean almost everything out there (minus the jumps), this is the year! Plus being able to do it in under 1 hour. I put the bar down 4 times = 20 burpees. I think I could have done 55 lbs, maybe even 65 lbs but I was more worried about being too sore for weekend mountain biking than pushing it during the WOD! 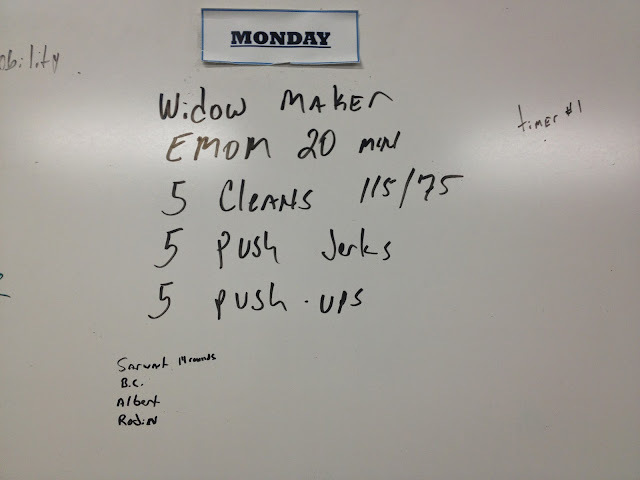 I missed out on Tuesday's WOD due to severe lack of sleep! It was tough yesterday but I started to feel better in the afternoon and made it to the girls ride at Crabtree. It was a good ride, I got to go with the faster group and again realized that I need to stop braking so much if I want to get faster! We did about 8 miles. 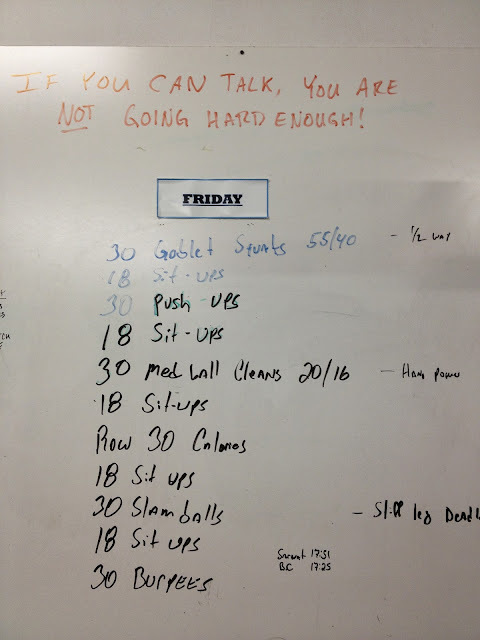 I did the first round of 21 reps unbroken but the rest broke me and I had to rest after 6-7 reps each time before finishing. I wasn't able to keep up and ended up just trying to get as many rounds done in 20 minutes. I ended up doing 14 rounds. It was painful! And it was pointed out to me that I was power cleaning it and them squatting into the clean- not efficient or fast! But it's so hard to drop down and receive the bar- I feel like I'm not going to catch it! 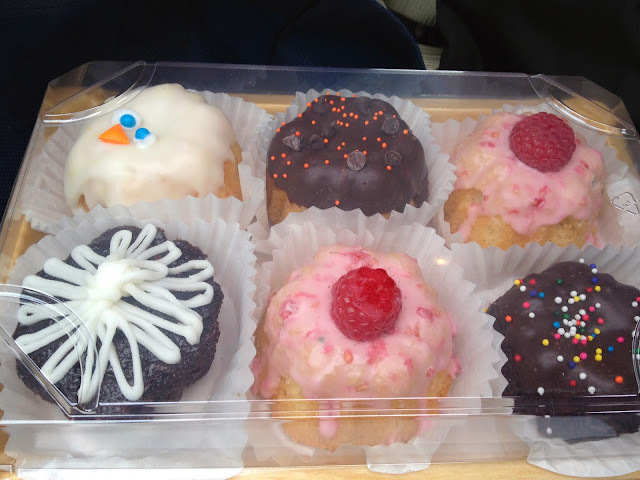 I also enjoyed some treats this weekend courtesy of Big Bundts Bakery in Durham! Last night I started a new routine- instead of just riding Rocky Road from the greenway, I started off on Sludge. It was much harder but I gave myself plenty of time and was able to do both trails plus Sludge with shortcuts on the way back. This gave me close to 11 miles of singletrack on a weeknight with over 1000 ft of climbing. Not bad at all. Now if I could only improve my pace and get up every hill! 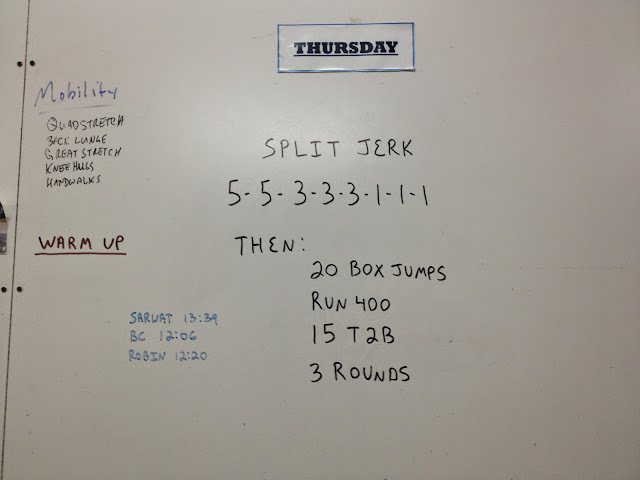 I managed to get up and get to the 6AM workout, although I could feel myself backsliding a bit since I was out of town and then sick the last two weeks! I started thinking this morning, what's so bad about getting an extra hour of sleep and being a little out of shape, but I came to my senses. After two minutes I had to take a break! But then I stuck to it and I ended up finishing 9 rounds total. I was gasping the last two minutes. It would have been tough to have done a higher weight. 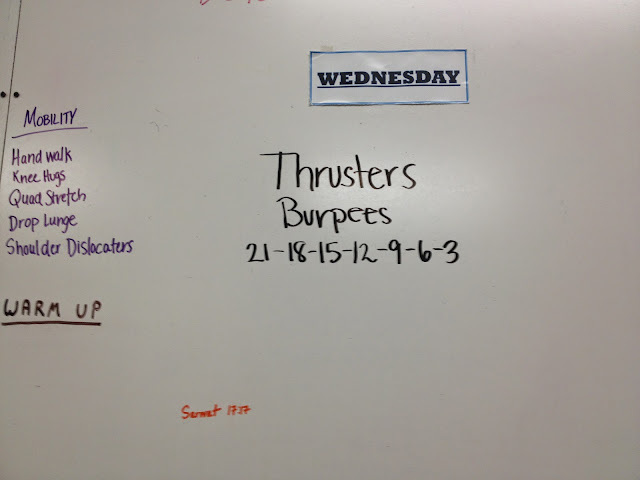 I did 5 rounds but was feeling tired and had to take mini-breaks during the longest 9 minutes I've ever experienced!